A Limited number of Single Supplements available At $1,500 for a total fee of $8,450 if accepted before January 1. COMPLETED APPLICATION DATE EXTENDED TO JANUARY 1! A fascinating seaport city, forever connected to the United States by the 1854 visit of Matthew Calbraith Perry. A delightful city dominated by Mt. Hakodate that affords a stunning nighttime view of the city. Our Japan adventures are not for everyone. 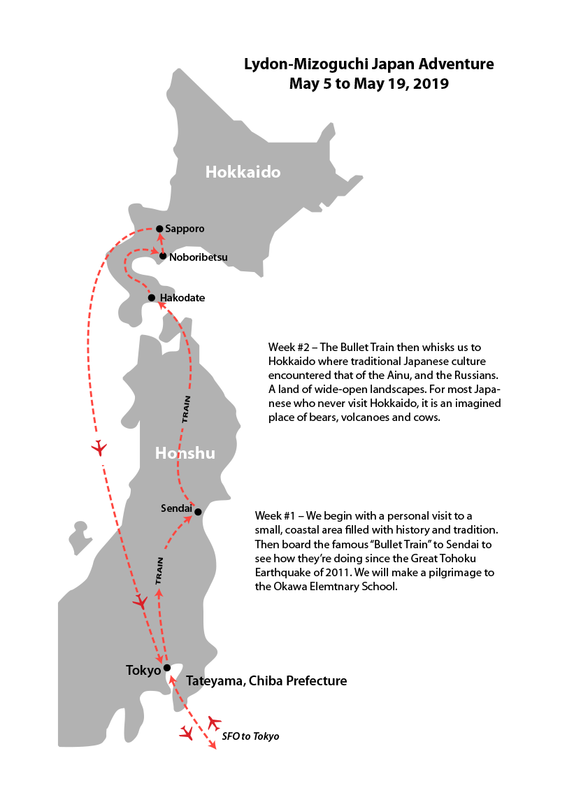 We are selecting members who wish to go beyond checking off Japan from their bucket list. We pride ourselves in bringing respectful and Informed groups to meet our friends in Japan. We require that you complete an application. You should take the time to provide thoughtful and complete answers to the questions asked. The application is one indicator we have to determine your level of commitment to the trip and the group you are attempting to join. There is a financial incentive for you to complete the interview portion of the application as all applicants who are accepted before January 1 will have their trip fee reduced by $500 per person. Preparing, enduring and recovering from natural calamities.